I'm all about functional things. I remember learning in art class a LONG time ago that sometimes art is all about the aesthetic, and sometimes it has real functionality. I'm drawn to functionality. In fact, I'd like to think I try to fuse beauty with functionality in everything I do for my business, from my photos to my packaging! I wanted my packaging to be simple and practical. I don't like wasting yards of ribbon, but I'm totally not opposed to doing so if it adds something irreplaceable to the finished product. I can't tell you how many spools of ribbon I bought as I tried to figure out packaging- I could start a ribbon store from my home. In the end I decided that I wasn't even going to use ribbon. Go figure! What I ended up with for my packaging is a safe, pretty way to mail clients their USB drives. 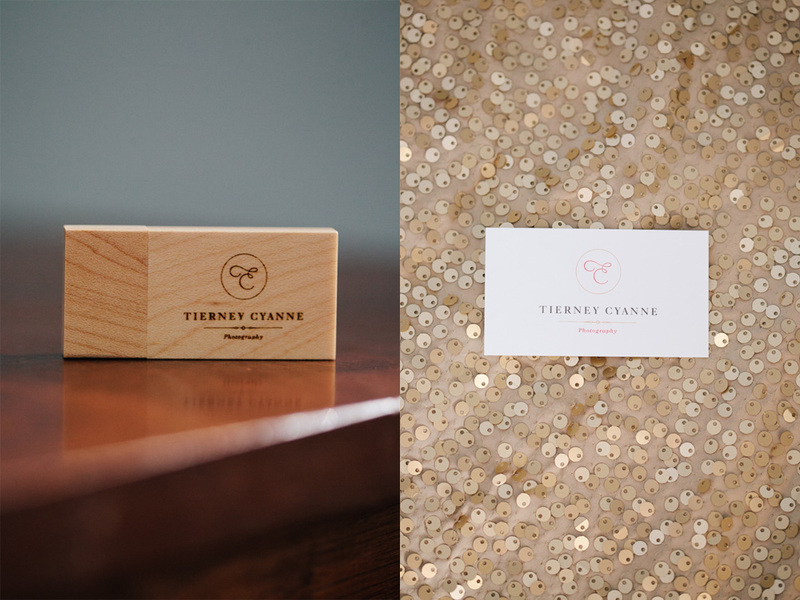 Custom 5x7 cards are printed with my logo on one side and blank on the other, allowing me to include a handwritten note in every package. 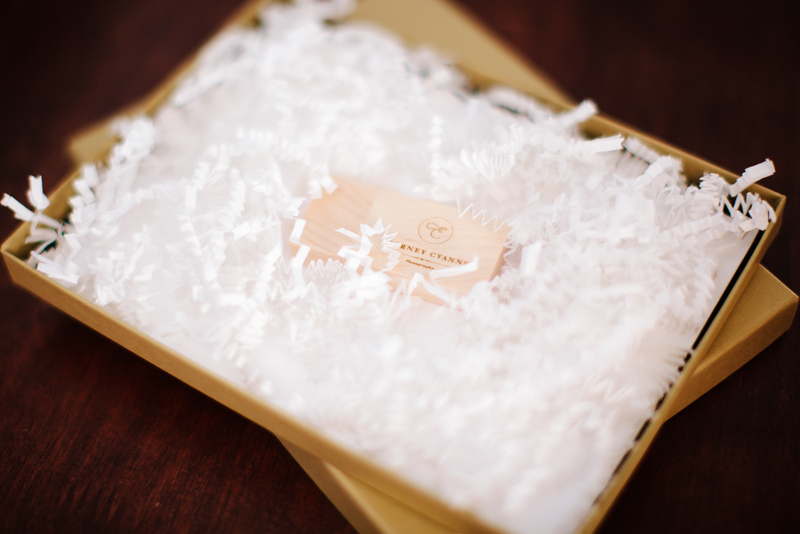 White crinkle paper holds the USB drive in place and adds a soft, carefree, and romantic touch. 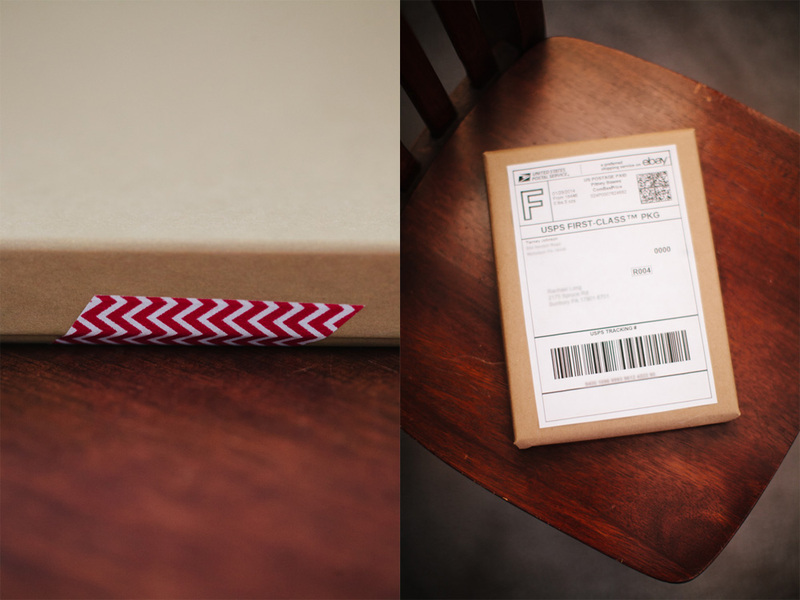 The chevron washi tape is a fun way to incorporate the pop of red from my logo into the packaging and secure the gold box, and the brown kraft paper protects the entire package during its trip through the mail. Finally, I use PayPal to create labels and ship everything because it's by far the most economical way I've found to do so. Be inspired, and feel free to let me know if you have any questions or suggestions!